This morning I awoke from a night of unusual dreams – the kind of dreams that, upon waking, can’t really be described or explained. These dreams were not chronological or rational. There weren’t realistic transitions – I was in one place doing one thing, then suddenly, magically I am in another place altogether and yet in my dream world it makes sense. It’s like these dreams blossomed from the creative part of my brain and my writerly instincts are kicking in. The first stories I ever wrote were similar to these kinds of dreams – they were adventure stories about new places that needed to be explored and getting lost at sea or deserted on a magical island. I was a kid when I wrote these stories. I enjoy reading stories about made up worlds that are so in-depth you are able to believe they might actually exist. I admire J.K. Rowling for her ability to create such a detailed world in the Harry Potter series – maybe there really is magic among us but us “muggles” fail to see it. I love the concept that there are entire worlds that exist right under our noses, that the unusual phenomena that we find logical explanations for are really the doing of something bigger than ourselves. In the back of my mind I’ve always thought about writing a children’s book or young adult novel with a premise like this, but I’d begun to think I’d lost that child-like imagination that was so vivid in my youth. I feared that I couldn’t write such a fantastical story as an adult. 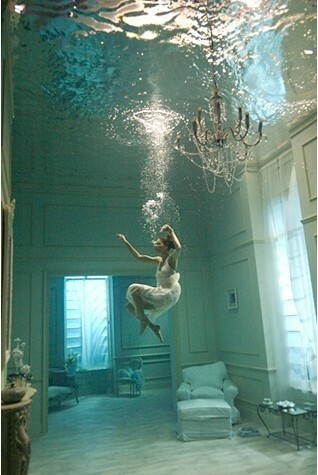 But then, I dream about an underwater room hidden in a sprawling mansion that is filled creatures never seen in the real world, and I think maybe that child-like imagination is still there. It makes itself known in my subconscious, coming out in my dreams. That dream inspired me to start writing a story, one that I probably would not have otherwise written. Do your dreams inspire you to write? This entry was tagged Dreams, Finding Inspiration, prompt, Writing prompts, Writing tips. Bookmark the permalink. I love inspiring dreams! Finding inspiration can be difficult. But I have found that the best way to find inspiration in life is through the core values for inspired living: opportunity, prosperity, respect, attitude, and happiness.